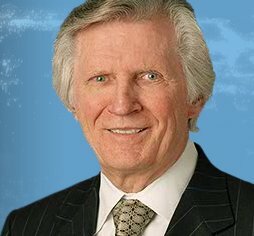 Here’s a collection of links about David Wilkerson, who was killed in a car accident yesterday. He founded the Time Square Church [sic], now a non-denominational megachurch of 8,000 members, back when this was a crossroads of iniquity, not a place where the Christian Cross was much discussed among X-rated establishments. And Wilkerson founded a faith-based program to wean addicts off drugs. Known as Teen Challenge, it now has branches worldwide. At [Christianity Today], the comments roll along. They say things such as “Forever grateful,” and “Saved my life.” and one woman wrote, “Because of his ministry I am no longer a heroin addict but a Pastor in San Angelo, TX., reaching out to other drug addicts and lost souls!” says another. Wilkerson founded Times Square Church in 1986 when he walked down 42nd street at midnight and his heart was broken over the prostitutes, pimps, runaways, drug addicts, hustlers, and X-rated movie houses he saw. “I saw 9-, 10- and 11-year-old kids bombed on crack cocaine. I walked down 42nd Street and they were selling crack. Len Bias, the famous basketball player, had just died of a crack overdose, and the pusher was yelling, ‘Hey, I’ve got the stuff that killed Len,’” recalled Wilkerson, according to the Times Square Church website. Dad’s last mission on earth was to be an advocate for the poorest of the poor—to provide relief and support for hungry children and widows and orphans. After founding Teen Challenge, World Challenge and Times Square Church, he sought to feed starving children in the most impoverished countries in the world. Today, Please Pass the Bread is saving the lives of thousands of children, through 56 outreaches in 8 countries. Like King David of old, after having served God’s purpose, he died. I know if my father were able to encourage you with his words today, he would invite you to give your all to Jesus, to love God deeply and to give yourself away to the needs of others.